only one road to take . 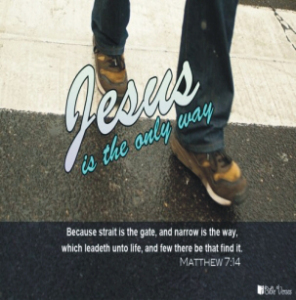 . .
leading to the narrow gate. sitting every Sunday in a pew. Satan paves it with . . .
for us to race to win . . .
but Heaven, not all will enter in. or else it may be too late!